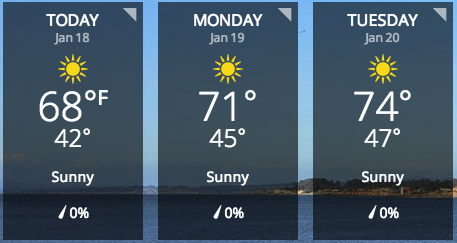 This time of year is awful for my allergies. The cedar gets me the worst… can anyone else relate? 1. Use a nasal rinse. This will clear your sinuses of allergens & bacteria. Plus, it moisturizes your system, thinning the mucous to keep it moving through the system and reducing post-nasal drip. The saline mixture added to warm, distilled water works wonders for clearing my nasal passages and keeping me from getting too stuffy. I use this kind – you can find it at nearly any drugstore. 2. Essential oils have worked miracles for me with my allergies. In particular, I use a combination of Lemon, Lavender & Peppermint (aka the LLP bomb). I put them in my diffuser, put 3 drops of each in a capsule to swallow or put them in a spoonful of local, raw honey. There are also a few other oils that can be super helpful with symptoms of congestion – RC & Breathe Again – or sinus headache – Copaiba. Read more about how essential oils can improve your health here. 3. Nothing relieves my itchy eyes better than Can-C Carnosine Eye Drops. It is the best eye drop out there; even though it’s not specifically for allergies, it is a great moisturizer and completely safe. On a side note, I’ve read stories that it has even helped people improve their vision or cataracts. 4. I recently discovered a homeopathic tincture called Allergena. They have blends for specific regions (Texas is Zone 5), or for allergies to pets, mold, dust, and several others. You put a few drops under your tongue every 10 minutes as long as you feel symptomatic until you don’t. It works super fast to provide relief for sneezing, runny nose & itchy eyes. 5. A couple of times a day, I take Natural D-Hist. My doctor recommended it originally for my stress hives last year, but it also helps with seasonal allergies. The blend of healthy ingredients helps relieve irritation from increased histamine response. Although it doesn’t provide fast relief, I have seen a lot of benefit by taking it consistently every day. 6. While it’s not realistic to always stay inside, it helps to keep your indoors an allergy-free environment to give your system some reprieve. Take a shower each night and wash your hair to get the pollen out. Put your clothes in a hamper when you get home for the day. Leave your shoes at the door. Wash your sheets and vacuum often. Close your doors and windows. Run an air purifier to remove those particles from the air – this is the one I use. 7. Eating a healthy diet is a crucial way to reduce inflammation & mucous production. Organic fruits and vegetables will help provide vitamins and antioxidants. Avoiding dairy and sugar will help lower your body’s inflammatory response and keep your immune system functioning properly. Staying hydrated is also important; water helps control levels of histamines in the body. 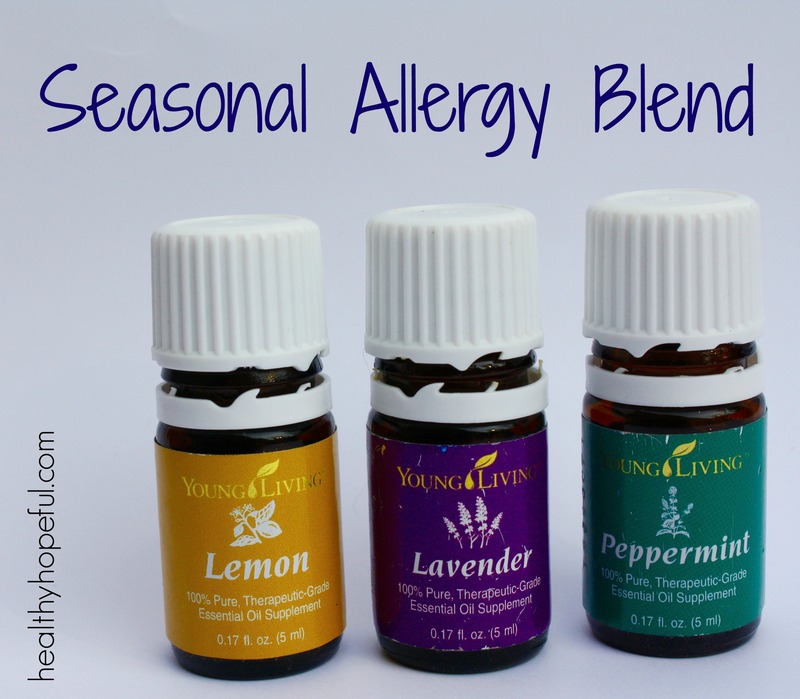 Do you have any other ways that help you control your allergies naturally? Thinking about trying any of these out? I would love to hear feedback on how these work for you! Luckily I don’t suffer from allergies, but my husband does! I’ll have to share these with him. Thanks! I’ve got a terrible ragweed allergy that totally knocks me out each summer. Thanks for sharing these tips at the link up! I did my first 10k on Sunday. The run was through really heavy trees and every since then my throat has been super swollen. I’ve really been struggling with tree pollen! I need to work on that. I hate when that happens! Definitely the essential oils with some raw honey would help really immediately if you have them! Great article! I’ve also found supplementing with high dosages of Nettle leaf to be relieving (upwards of 3000 mg). So people use it as kind of a preparatory defense: they load up heavy on it right before allergy season and then just take it regularly during. 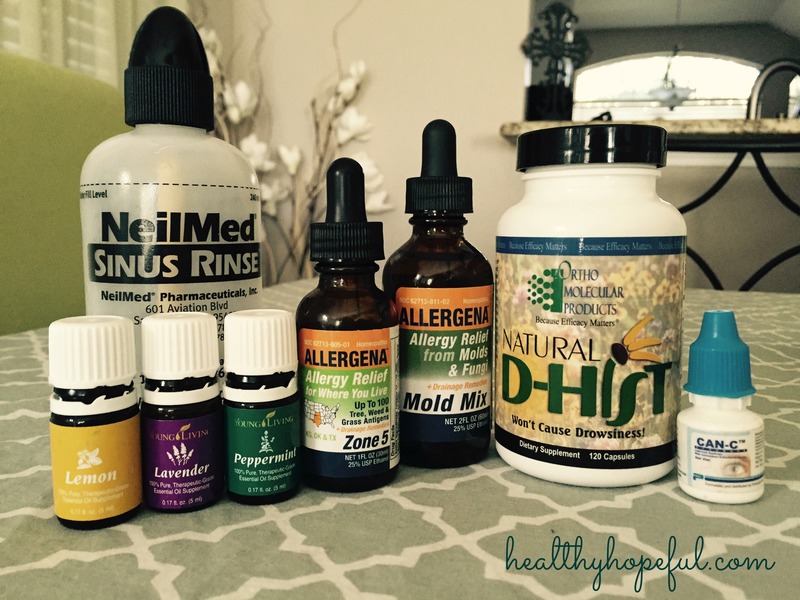 This year has been my first experience with allergies, so I’m all ears for natural remedies! Will try the LLP, haven’t use before. Thanks, David! Thats great to know. I am absolutely going to try that! If you need some oils for th LLP, let me know! Not all brands are okay to take interally. Great article! Young Living’s Lemon, Lavender, and Peppermint essential oils do wonders for my allergies already, but I will have to look into the eye drops and under tongue allergy drops too!